Earlier the departure of flight 1570 from Calgary International Airport (YYC), WestJet became the first Canadian airline flying nonstop to Denver International Airport (DEN) from Calgary. The new service operates daily year-round. "Denver is a popular destination for outdoor enthusiasts or those looking for the combination of cowboy heritage and cosmopolitan chic," said Ed Sims, WestJet President and CEO. 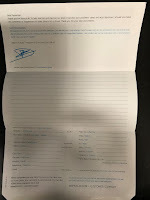 "We are proud to offer our guests this exciting destination with mass appeal. 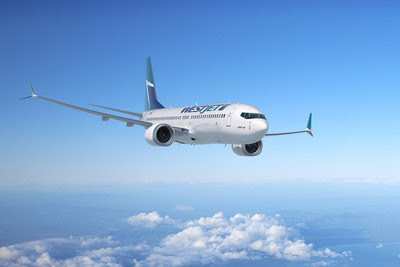 These added flights further demonstrate WestJet continues to provide the widest choice of destinations out of Calgary and the greatest convenience of all airlines flying from YYC." "The new service on WestJet between Denver and Calgary connects two of the most dynamic cities in North America," said Denver Mayor Michael B. Hancock. "The investment by WestJet into Denver will result in 150 new jobs and nearly $20 million in annual economic impact, further strengthening Denver's economy and global reach." Calgary ranks as Denver's third-largest destination in Canada with a demand for travel of nearly 150 people each day. Overall Canada ranks as Denver's second-largest country for international travel, behind only Mexico. "We are very pleased to welcome WestJet as our newest airline partner," said Kim Day, CEO of Denver International Airport. "As DEN's ninth foreign-flag carrier, WestJet will provide a truly unique experience for travellers to Calgary and beyond across WestJet's growing international network." Overall, WestJet's guests in Calgary now have a total of 51 different WestJet destinations, including 13 U.S. destinations to choose from, more than any other airline flying out of Calgary International Airport. Over the last 10 years, WestJet has increased its capacity out of YYC by 58 percent and accounts for over 54 percent of the seating capacity out of the city. "Growing our non-stop destinations across the U.S. and internationally is an important part of ensuring that our tourism and business sectors in Calgary can continue to flourish," said Bob Sartor, President and CEO of The Calgary Airport Authority.